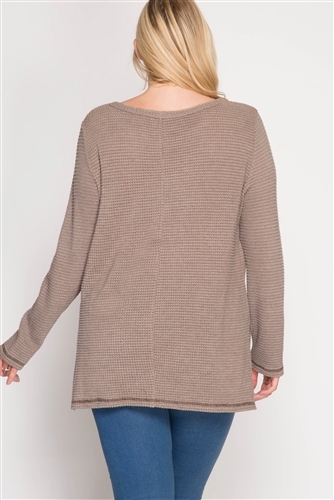 Mocha long sleeve thermo top with contrast reverse stitch detail. Knit top. Composition: 70% cotton, 30% rayon.